If you would like to park your car on campus, there are two types of parking lots. There are lots that are run by U-M Housing and general lots run by U-M Logistics, Transportation and Parking. U-M Housing has a small number of parking spots on campus. You must live in an on-campus residence hall to apply for parking with U-M Housing. You may not apply for or receive more than one parking permit. Please do not submit any false information when applying for a place in the lottery. If a permit is issued based on false information, that permit will be revoked. Permits must be used by the person to whom they are awarded. Please do not share or give away your permit. Alteration, modification, duplication or transference of a U-M Housing parking permit is prohibited. Purchasing a year-long parking permit is a binding agreement. 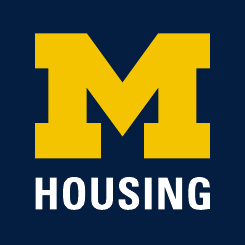 Returns or reimbursements are issued solely at the discretion of U-M Housing. The cost for a Housing Parking Lot on-campus parking permit is $164 for the school year. Apply for a parking permit after you submit your Housing contract. Bursley, Baits, Fletcher and Oxford residents receive priority for parking permits in the lots closest to their building. If extra spaces remain, permits will be offered to students living in other residence halls. Applicants who receive a permit will receive an email via their U-M email account. For information regarding parking at Northwood, please visit the Northwood parking article.